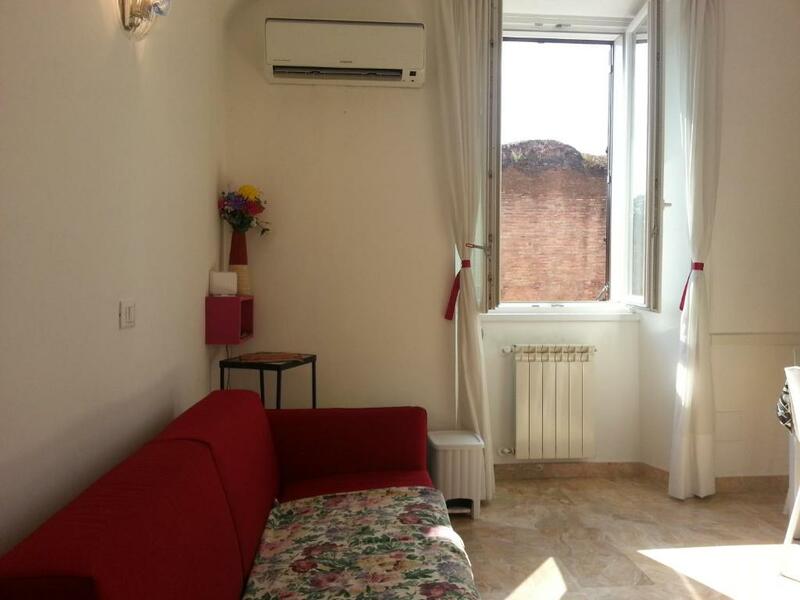 Samantha was a really nice and professional host, giving us, in a perfect English, all the information about the house, the San Lorenzo neighborhood (very quiet during the day and incredibly vibrant during the night), main touristic routes from Rome and free parking place. The house is very recent renewed, it has a beautiful marble floor, is clean and full of light, with all the comfort that you need, but for max 5 adults, not for 6, because in this moment the sofa in the living room is not comfortable for sleeping if you open it. Excellent apartment, bright and extremely clean. 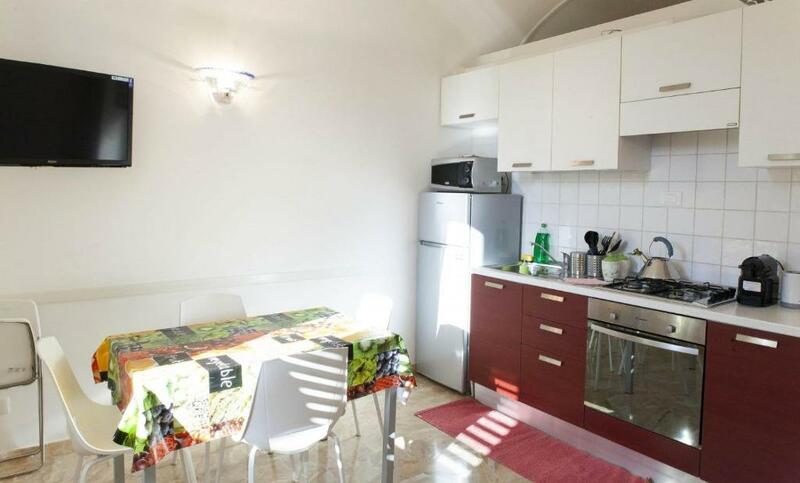 Perfect location, close to Termini central train station. I strongly recommend! The apartment was very neat, clean, tidy and comfortable. With 2 separate bathrooms, this made our stay even better. The Host (Samantha) was really excellent, extremely friendly and helpful. She was also able to provide us with guidelines on arrival as regards the public transport infrastructure which made our stay really enjoyable. I highly recommend this apartment. The really old wall we could see, good food around the area, the host, quiet area. The host are so warm, really friendly, we really love her. She give us a good tips and suggest us what public transport should we take to go to the attraction place. Would recommended to others to stay in this property. Samanta is a very good host . Very helpful and kind. The apartment was amazing, 6 of us fitted just fine , building is pretty quiet and located just 15 minutes away from everything you need ( restaurants, shopping, bus station ) We had a blast ! Samantha was always available to talk to us , she provided maximum information about the city , which was a plus since we had no idea how to get around. She should be number one choice as a host , if you going to Rome ! Samanta helped us and guide us clearly, and perfectly. The host Samanta is very friendly and she offered us a lot of helpful informations. The apartment is modern, very clean and it is close to metro and tram stations. 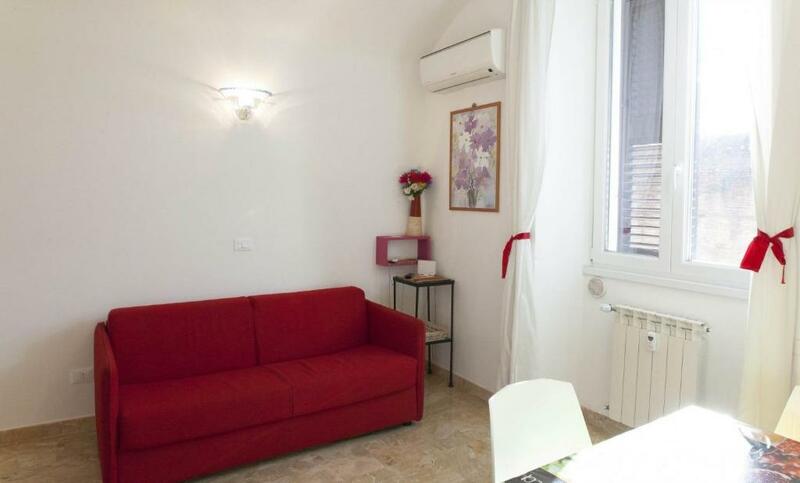 Lock in a great price for Between Termini & Colosseo – rated 9.1 by recent guests! 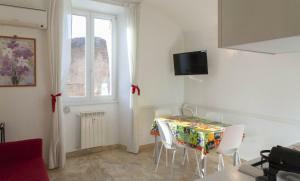 Between Termini & Colosseo offers modern self-catering accommodations with free WiFi in central Rome. Termini Train and Metro Stations are a 15-minute walk away and the lively San lorenzo district is a short stroll away. 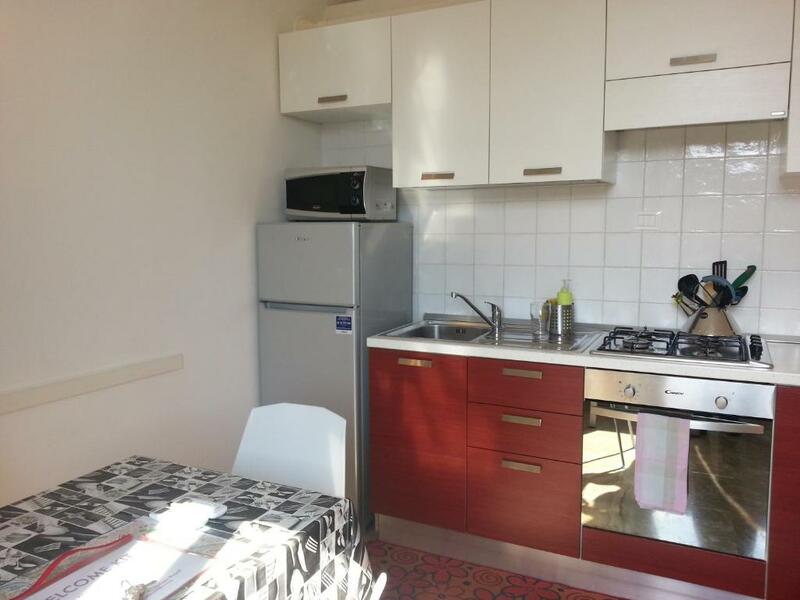 The air-conditioned apartment features a kitchenette and flat-screen TV. It includes 2 bathrooms with toiletries and a hairdryer. Free luggage storage is provided at the property. The Basilica of Santa Maria Maggiore is a 20-minute walk from Between Termini &Colosseo. The Coliseum is 1.4 mi away. 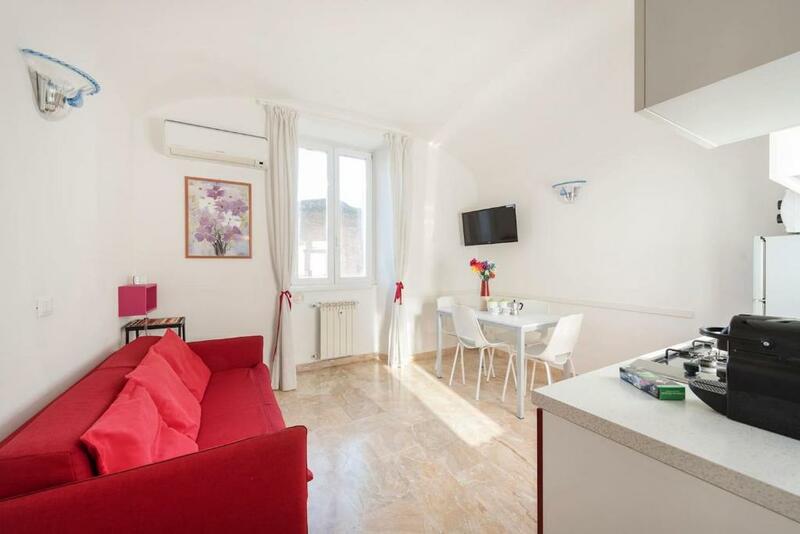 When would you like to stay at Between Termini & Colosseo? 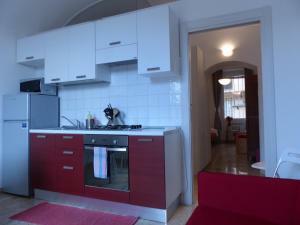 Air-conditioned apartment with a flat-screen TV and kitchenette. The 2 bathrooms include a hairdryer and free toiletries. Between Termini & Colosseo is a Wi Fi and air conditioned modern apartment, located on the third floor of a building with lift, overlooking the ancient Aurelian Walls, in the San Lorenzo district, known for its proximity to the University of Rome, as well as nightlife and small alleyways and restaurants. 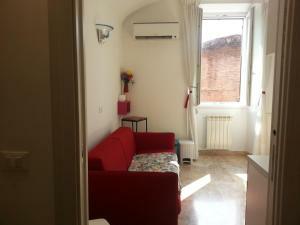 It is easy to reach both from Fiumicino and Ciampino Airport, and railway stations of Rome. 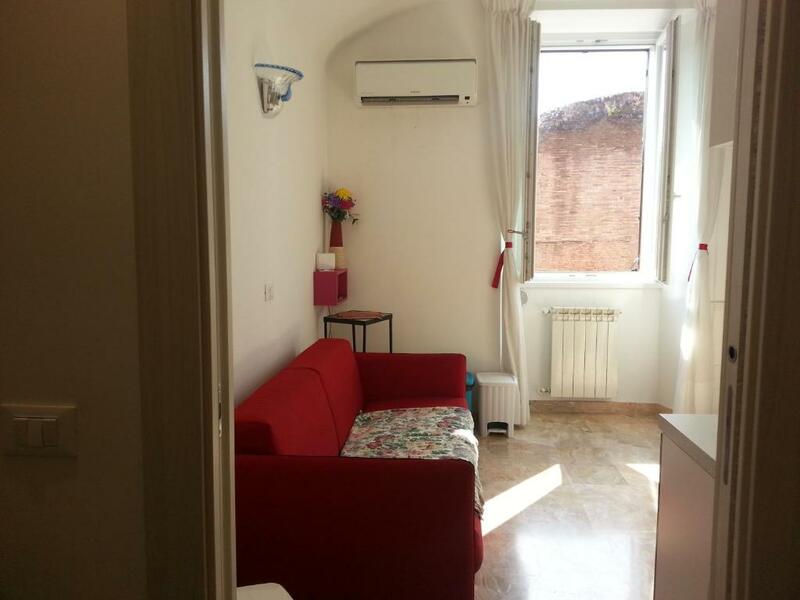 It is 1.2km from Roma Termini train station and 2.5km from Roma Tiburtina Railway Station, reachable on foot or by bus. It is 1.7km from the Basilica of Santa Maria Maggiore; 1.8km from Basilica of St. John; 2km from the Colosseum reached directly with the number bus / tram 3 from the stop at Scalo San Lorenzo 300 meters from home; 6km from Piazza San Pietro and the Vatican City can be reached directly by bus / tram number 19 from the stop at Scalo San Lorenzo 300 meters from home The kitchen is fully equipped, as well as the two bathrooms which include soaps, toilet paper and hair dryer. Wi Fi, bed linen, bathroom and kitchen are included in the price. House Rules Between Termini & Colosseo takes special requests – add in the next step! Between Termini &amp; Colosseo accepts these cards and reserves the right to temporarily hold an amount prior to arrival. Between Termini & Colosseo accepts these cards and reserves the right to temporarily hold an amount prior to arrival. A surcharge of EUR 30 applies for late arrivals up to 00:00, and EUR 50 thereafter. All requests for late arrival are subject to confirmation by the property. Please inform Between Termini & Colosseo of your expected arrival time in advance. You can use the Special Requests box when booking, or contact the property directly using the contact details in your confirmation. It was a long way out from the city - near to the station but not near main sites. Great clean apartment with all amenities - so many towels, bottle of wine on arrival and friendly host. 2 bathrooms were great too. Nothing - everything was excellent. The extra prices/fee we had to pay when paying by paypal, the bins in the foyer smelled bad. The Host was were very good and she provided all the information that we need and was very kind. Good Value for money.